The title tag will probably always be one of the most important factors in on page search engine optimisation to achieve high rankings in the search engines. It has been shown that just “tweaking” your title tags a little can help increase the number of times your link is clicked in a search engine. The title tag should contain specific keywords or key phrases relevant to the page content. Originally WordPress placed the blog name before the post title. For example: “My WordPress Blog » Hello world!” In more recent versions of WordPress, the post title appears before the blog title like “Hello world! » My WordPress Blog”. There has been some debate as to whether it is necessary to have your blog name tagged onto the end of your post title, some people have even reported that removing the blog title from post titles can help improve your rankings on the search engine results pages (SERPS). The main advantage of not including your blog title in the post title, is that it keeps the length of your title at a more reasonable number of characters. Where possible, I always try to keep my titles to less than 70 characters or so. Obviously, having your blog name on the end of your page title may dramatically increase the number of characters in your title. I would suggest you have a look at the other options this plugin provides and tweak them to your requirements. There are three main components to meta tags: meta title, meta keywords & meta description. The meta title will be taken from your post/page title and if you are using appropriate, relevant titles, there is little need to adjust this with one of the previously mentioned plugins. When looking at the results for your query in search engines, you will see a section of content from your page beneath the page link. By customising the meta description tag for the page, you have control over what is shown in the search engine results. Your meta description should be concise and relevant, remember, after the title (link) to your page in the SERPS, your post description needs to encourage people to click the link to your site, so make sure your meta description is appropriate to your content. This is also a good opportunity to include one or more of your keywords/keyphrases. Try to limit your meta description to less than 200 characters. *It is worth pointing out that a few months ago, Google announced that it no longer takes into account meta keywords when ranking websites. Despite this, I still think it is good practice to accurately specify your keywords for your post or page. 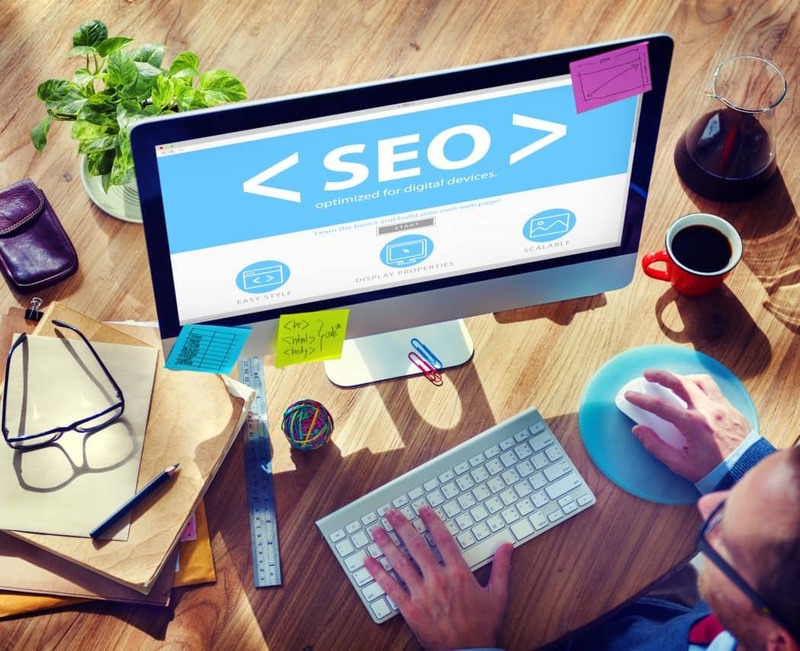 Platinum SEO has a nifty little option that will allows you to use categories or tags for meta keywords. This may be useful to some users, but if you only post in a few categories, you may be better specifying your meta keywords on a post specific basis. Try to be focused with your keywords, aim for 4 – 6 keywords per page, although you can specify more meta keywords if you desire. As I have discussed in this blog post: The Importance Of Heading Tags, Heading tags are a crucial part of a well optimised page. Where possible, you should only include one H1 tag in a page (usually the title), but you may have multiple occurrences of tags H2 – H6. In rare circumstances, it may be appropriate to have more than one H1 tag within a page, for example where you discuss two equally important, clearly defined topics. The H1 tag should surround the main heading/title of the page relevant to the content and should be positioned at the top of the content (not in the header or sidebar, but at the top of the main content area). For example, if you sell fruit, and you have an article or page about “Apples”, this should be in your H1 tags. If you discuss various types of apples within this page, you might use H2 or H3 tags for these sub-headings eg “Golden Delicious” or “Granny Smith”. Using Heading tags will help the search engines determine the importance of the words in your content when it crawls your site. Permalinks are URLs that point to specific blog posts and remain the same indefinitely. A permalink is what another blogger may use to link to your blog post, article or category, or how you might send a link to your blog post in an e-mail. More importantly, it is the link the search engines will use to identify your blog post, page or article. It is commonly accepted that keywords in the permalink can help contribute to a pages, posts or articles position in the search engines. Optimizing the WordPress permalink structure is one aspect of WordPress Search Engine Optimisation that most users can do to configure a more desirable, readable permalink structure. There are three basic types of WordPress permalinks: default, mod_rewrite & pathinfo. This permalink structure is sometimes referred to as “Pretty permalinks” and is most commonly used on Apache web servers with the mod_rewrite module. Otherwise, they are the same as the “pretty” mod_rewrite permalinks, and are similarly flexible. It’s very easy to change your WordPress permalink structure by going to Settings -> Permalinks in your WordPress admin panel. Permalinks are easy to set up and can influence how your blog is found & seen in the search engines. The generation and publishing of website sitemaps is quite often underestimated. There are basically two types of sitemap, one is a HTML sitemap which is readable for human visitors and helps them navigate throughout the website, the other is an XML Sitemap which helps the search engine spiders navigate through the site. Sitemap generation in WordPress can be achieved easily using one of various plugins available. One of the most popular plugins for generating Google sitemaps is: Google XML Sitemaps. This plugin will generate a special XML sitemap which will help search engines like Google, Bing, Yahoo and Ask etc to better index your blog. Usage of this plugin is nice and straight forward, simply install the plugin, then navigate to Settings -> XML-Sitemap in your WordPress admin panel and build the sitemap the first time. The plugin will automatically update your sitemap every time you publish a new post. It also worth telling Google exactly where your sitemap is, you can do this using the Google Webmaster Tools.